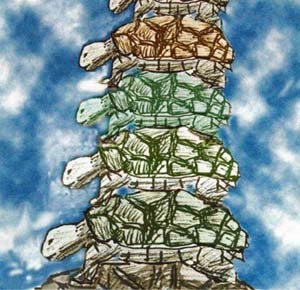 Those who reject the First Cause argument are guilty of believing in an endless supply of turtles. In this way they can push back the question of the origins of the universe and the design question. The response arises from specific premises normally used to set up the first cause argument, premises you skipped in favor of simply defining the first cause as uncaused. As you’ve now turned the conclusion of the argument into a premise, you get to treat those you disagree with like bad students. It also leaves you with a circular argument. Actually, Daniel, as I state in my short article, one is free to posit whatever or whoever they want as the First Cause. The problem for atheists is that they don’t like any argument for God. I respect that. My article does not demand that to be intellectually honest one has to agree that the First Cause is the Christian God. But the question is whether or not there is a first cause or not. If not, then at least admit to the ramifications of that preposterous conclusion. It’s atheists that get so upset that there may be a God so they grasp at any possible imaginary construct that will rule God out. Further, there is no circular argument here (argument and premise in this case being the same thing) except that which is introduced by the atheistic response that ignores the premise and concludes with the “I-just-woke-up” response of what casused the First Cause? Daniel, take the premise of God out of the equation: if one posits that the first cause of everything that exists is a bunny with floppy ears, you may thinks that’s ludicrous but asking what caused the bunny is to ignore the premise that the bunny does not have a cause. You may say that’s stupid, foolish, illogical, etc. You may also require one who asserts that premise to give reason for his conclusions. You can offer your conclusions. But, as in the case of our subject at hand, asking what caused the first cause only serves as an investigation stopper. I don’t believe any scholoar in his right mind actually believes that the universe[s] is/are eternal, infinite, but unfortunately, atheists and evolutionists are willing to be intellectually dishonest if it means God gets discounted. I say, Play the game! Tell who or what was the first cause, but enough with multiverses and aliens! Aside from elaborating on your ad hominems, and avoiding the point at hand, your comment here adds nothing. As with a lot of apologists, you are simply not serious about engaging atheists. I’ll leave you to preach to the choir. Daniel, you have given me nothing to engage with. You started with criticism, you refuse to item by item engage what you have criticized, and now you opt out. Say something!